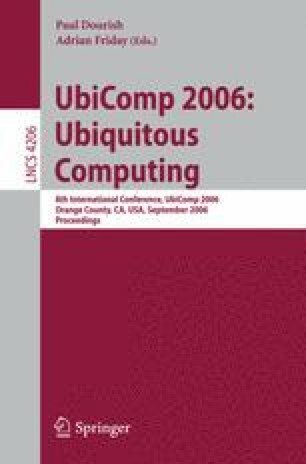 This paper presents a novel ubiquitous computing device, the SenseCam, a sensor augmented wearable stills camera. SenseCam is designed to capture a digital record of the wearer’s day, by recording a series of images and capturing a log of sensor data. We believe that reviewing this information will help the wearer recollect aspects of earlier experiences that have subsequently been forgotten, and thereby form a powerful retrospective memory aid. In this paper we review existing work on memory aids and conclude that there is scope for an improved device. We then report on the design of SenseCam in some detail for the first time. We explain the details of a first in-depth user study of this device, a 12-month clinical trial with a patient suffering from amnesia. The results of this initial evaluation are extremely promising; periodic review of images of events recorded by SenseCam results in significant recall of those events by the patient, which was previously impossible. We end the paper with a discussion of future work, including the application of SenseCam to a wider audience, such as those with neurodegenerative conditions such as Alzheimer’s disease.